Happy May!!! It's almost summer - yay!! This summer my beach body will be a little bit (okay, a LOT) different than it has for the last couple years. As of today I am 18 1/2 weeks pregnant with baby number two, and this baby bump appeared a whole lot sooner than it did when I was pregnant with Ms Bonnie Ann, who is now a year and a half old. I had heard people say that they showed much earlier with their second babies, but honestly I didn't realize just how true that would end up being for me! With Bonnie I wondered if I was ever going to show - I definitely don't have that worry now! Another thing that has also changed is what I have been doing for workouts. In the first trimester I was so sick and fatigued every day that I wasn't able to stick with my workouts as much as I would have liked. Now that the nausea and fatigue has abated a bit, I'm back to workouts, but now I have this baby bump to work around! 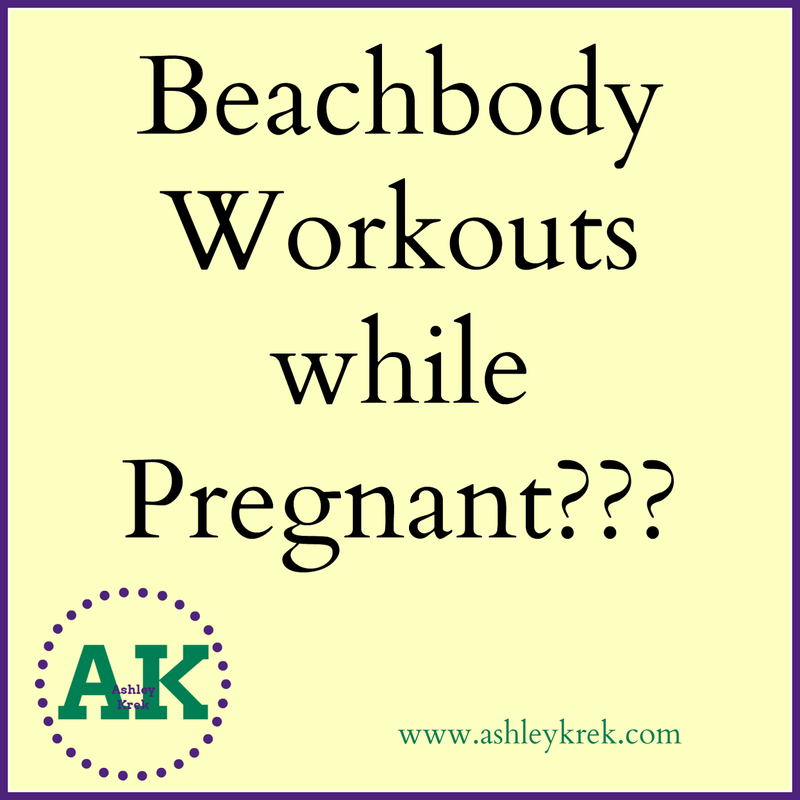 So, that leads me to the point of this post: what the heck can we do for workouts while pregnant??? I'd like to start by saying that the following is only my opinion based on my experience, so you might be very different from me! Also, it is always a good idea to talk to your doctor about working out while pregnant. Mine has given me the all clear, but in some cases it might be best for you and baby to do other things. 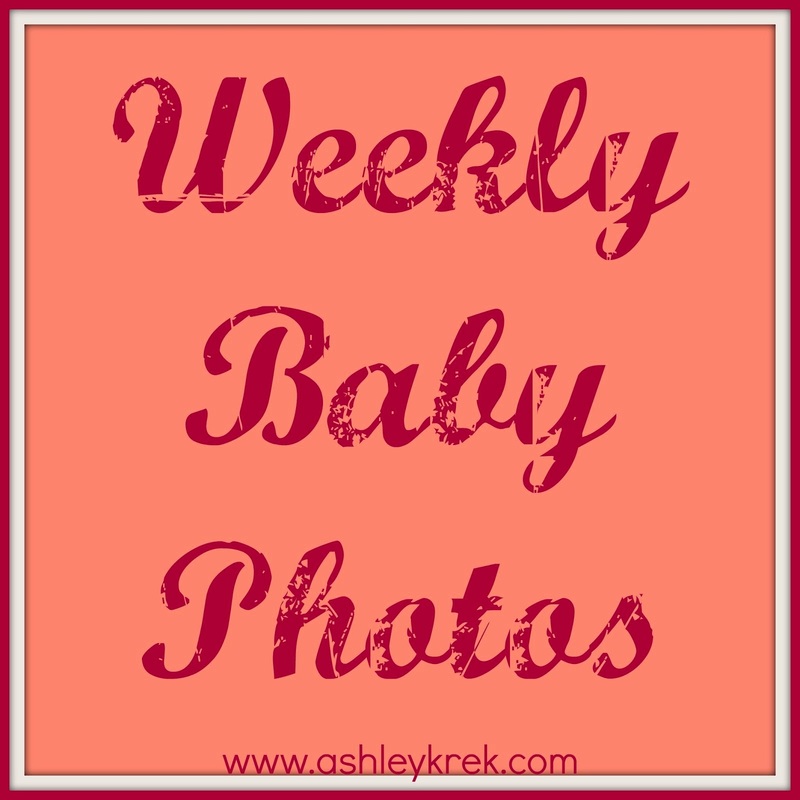 So, for me, this is what I have found works for me while pregnant! - Being on my back is not a good thing. It's not comfortable and I just don't feel right doing the back-centered exercises, so I tend to skip or modify these if they appear in any workout I am doing. 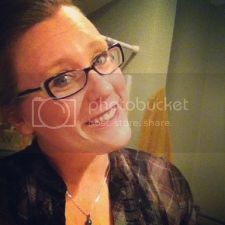 - Personally, I have found that a lot of the Shaun T workouts are good for me. I have lately been working out with Focus T25 and this is going really well! While T25 can be an incredibly demanding workout, I am finding it to be my favorite because of the modifier. In every singly Focus T25 workout there is a woman, Tania, who is serving as the modifier. She is showing how to still get a great workout while not going crazy on the jumping or strength portions - this is working out great for me! I'm pretty strictly following along with Tania, which allows me to avoid the jumping and the getting up and down off the ground that the rest of the group are doing. 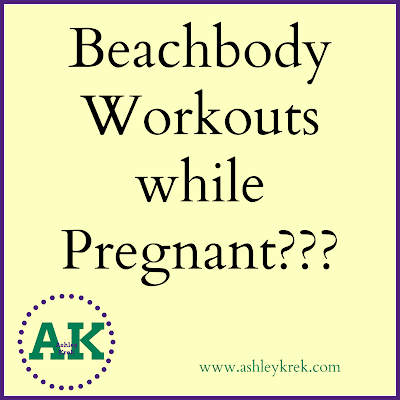 Another great option for fitness while pregnant is the Beachbody on Demand app. This is a streaming service that has tons of full Beachbody programs available to stream right to your tv or computer as well as lots of extra sneak peeks and bonus workouts. Autumn Calabrese (from 21 Day Fix and the Master's Hammer & Chisel) even has a series of maternity workouts on the service! Those were specifically created for moms and moms-to-be, so they are a great option if you're looking for something maternity specific. Using Beachbody on Demand also gives you the ability to test out the various other programs that are available to stream to find something that you can really sink your teeth into and enjoy. Like I said, these are all my opinions, but I hope they are helpful! If you have any questions at all, or would be interested in learning more about how I, as a coach, can help you reach your health and fitness goals (whether you are pregnant, hoping to become pregnant or have no baby goals in sight!) please fill out the challenge group application below and I will be in touch so we can chat about how I can best help you hit your goals!